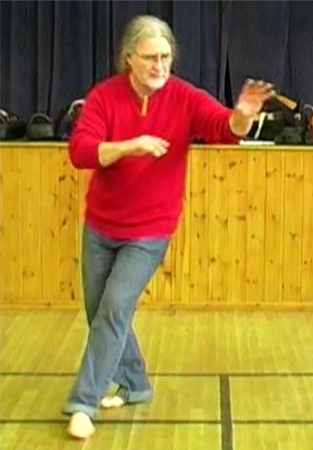 Here, Erle teaches the most important Bagua walking method. For the first time shown physically, the mud stepping and what it really means, why we have to walk in this way and exactly how to do it. Also on this DVD an introduction to the "Fa-Jing Muscle", where it is and why. This group of muscles is essential for gaining power for punching and generally attacking. You cannot punch with greet power from short distances with the classic "6-pack" abs. This area will also be discussed in greater detail and exactly how to develop this muscle in the next Erle's Fighting System The Physical Side Volume.